Summer. The season for beach episodes, festival extras, and fireworks. The season when ice cream becomes almost a daily pleasure and a day at the sea is full of fun and laughter. 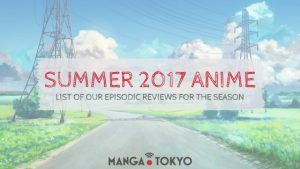 It is also the one of the four anime seasons and MANGA.TOKYO has its otaku team ready to bring you the most interesting reviews on the web! Instead of over-analyzing each frame and discussing the animation techniques, we focus on what matters: the fun of watching our favorite shows! We watch anime because we love them, and MANGA.TOKYO is here to leave out all the unnecessary jargon and talk about the things that made us laugh and cry. 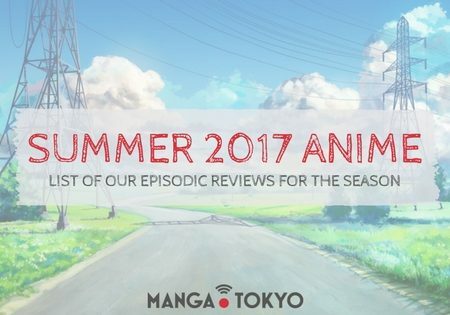 This article has a list of our episodic anime review titles for Summer 2017, a few words about our writers, and a description of our columns! Couple that with our Anime Hashtags list, our Anime Info page, and our constant coverage of all the latest anime and otaku news, and you have everything you need for an amazing summer season! If you have any feedback or suggestions, feel free to send us a message here or at our social media: Facebook, Twitter, and Instagram. You can also join us in our new forum! What happens when you are a football genius who is also obsessed with cleanliness? You get your own anime that is part sports and part a lesson in being tidy. Aoyama-kun will join his teammates and make sure that no one is playing dirty. We know that schools in Japanese anime often have crazy rules and peculiar regulations. Hyakkaou Private Academy is subject to a very strange status quo: the students are among the wealthiest of the nation and they don’t care about being first at sports or the smartest in math. What they want to master is the art of the deal. The best gamblers are the winners of this school. 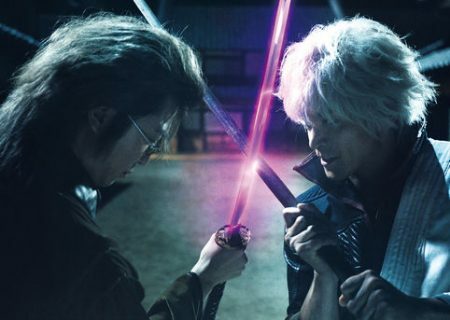 Although the previous adaptation of the famous Touken Ranbu had the famous swords spent their days inside the Citadel. In this new incarnation, though, the world is threatened and two sword warriors, brought to life by Saniwa, will rush to its rescue. Knight’s and Magic takes the isekai concept and puts it on an interesting premise: a mecha otaku is reincarnated in a world where huge humanoid robots exist. These robots are called Silhouette Knights, and Eru, our protagonist, wants to become a Knight Runner and pilot one of these enormous mecha. Love and Lies is one of the most anticipated titles of the season. It is based on a manga by Musawo Tsumugi. The story takes an interesting approach to the typical love triangle theme. In a not-so-distant future, a boy and his feelings for his longtime crush will be tested when another girl is assigned by the government to become his future wife. A live action film adaptation is scheduled for 2017, featuring a different story with one girl and two boys. Made in Abyss, a manga series by Akihito Tsukushi, has been praised for its original and cute drawings. The anime adaptation will follow the same story as the manga: There is only one unexplored place in the world and that is The Abyss. Inside the Abyss live mysterious and wonderful creatures and exist incredible artifacts. When such a place exists, so do explorers who choose to defy everything and head inside. The anime will follow a little orphan girl called Rico who dreams of becoming a Cave Raider. My Hero Academia will continue into Summer 2017 with a back-to-back cour. What will happen to Izuku Midoriya and the rest of our heroes? 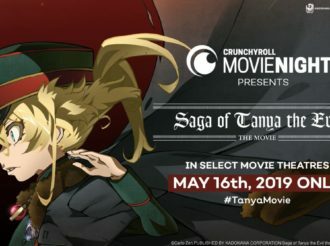 If you are new to the anime and you like classic superhero comics, then you still have time to binge watch the first season and the first cour of the second. NTR: Netsuzou Trap has been criticized a lot for its premise. Despite the reviews, though, the ongoing yuri shōjo manga about Yuma and Hotaru and their relationship is very popular and the anime adaptation is expected to have a dedicated vieweship. Aoba Suzukaze and her coworkers at Eagle Jump are returning for a second season! Fourfolium are coming back to perform the opening and ending theme and we can’t wait to see in what kind of game they will try to make this season. Spring 2017 original anime Re:CREATORS is having a back-to-back cour. 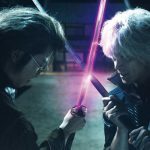 This unique story by Rei Hiroe and Ei Aoki has managed to capture the imagination of many anime fans with its deep storyline and colorful characters. Now is the time to catch up on the first cour if you are interested in seeing the rest of the episodes. 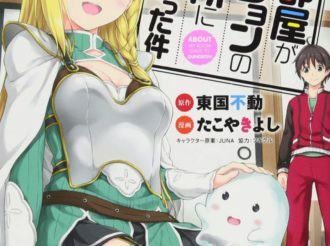 Both isekai and gourmet? The Restaurant to Another World is Yōshoku no Nekoya, a western-type restaurant that looks like a regular establishment that is closed on weekends. But is it? On Saturdays, it offers a very strange menu to very strange customers from even stranger worlds. The Vatican is a place of countless mysteries. Religious legends speak of its hidden libraries, the ancient manuscripts, and the mysterious orders that carry its will. Vatican Miracle Examiner will follow an imagined organization that belongs to the Vatican, The Seat of Saints. They are dedicated to investigating alleged miracles. Do you know your passion? Tatara Fujita had no clue what he wanted to do with his life until he found himself in a ballroom dancing competition. As you can imagine, in Welcome to the Ballroom, he pointed his previously aimless passion to the world of competitive dancing. 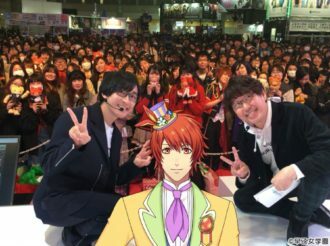 Thanasis: Re:CREATORS is staying for a second cour this season and Thanasis will keep exploring the relationship between creations and creators. A big fan of old-school mecha, he couldn’t leave Knight’s and Magic out of his lineup for this season. He is also going to explore the peculiar relationship that will develop between the protagonists of NTR: Netsuzou Trap. He will also find out why gambling is so bad in Kakegurui. Jennifer: Jennifer is MANGA.TOKYO’s resident Saniwa and the perfect candidate for writing the reviews of Katsugeki / Touken Ranbu. Martina: Welcome to the Ballroom needs a reviewer who has the class and sensitivity to understand the sensitive nature of ballroom dance. Martina is going to bring you the most passionate reviews for a most passionate anime. Asie: Asie will continue practicing her magic powers as My Hero Academia is following with a second cour in Summer 2017. She will also add to her reviews the overly cute exploring anime Made in Abyss. 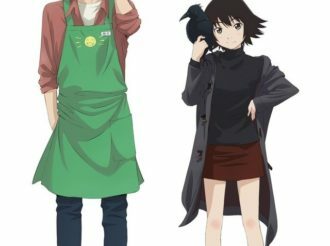 Christina: Christina wants to take a break from the usual CGDCT anime and this season she is going to review the bizarre relationship we will find in Love and Lies and jot down some amazing recipes she will find in Restaurant to Another World. She will also follow Aoba in the second season of New Game! Marianne: Marianne is writing every day to Wit Studio in hopes of convincing them to give Attack on Titan a second cour. Just in case she doesn’t make it, she decided to cover the supernatural adventures of the pastors in Vatican Miracle Investigator. Robek: Robek took notice that we are going to review an anime that is (partly) about football and took it upon himself to write about the cleaning adventures of Aoyama-kun. You may remember Robek from his amazing reviews of DAYS! The anime industry is run by people who care about the medium, and there is nothing more insightful than talking to the creators and those involved with our favorite titles. 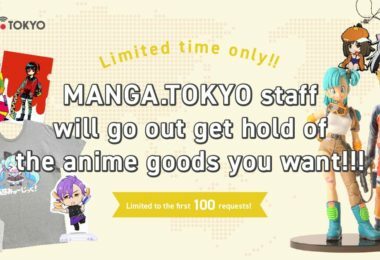 MANGA.TOKYO has an extensive collection of exclusive and translated interviews from directors, voice actors, animators, singers, and many more! You can read all the interviews here. 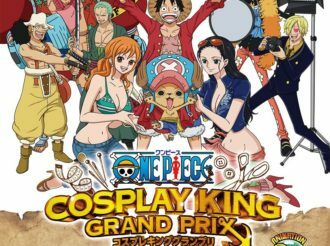 MANGA.TOKYO is attending as many otaku events as possible, because we want to bring you the best coverage of special screenings, themed cafes, and anisong concerts in the otaku world. All written by otaku fans for otaku fans. You can see all our reports here. Which Popular Manga Still Don’t Have Anime Adaptations? Our otaku writers travel all over Japan to bring you the most exciting anime photo reports. We recently visited the real-life locations of Your Lie in April and Love Live! Have you been watching your favorite anime character eating something you wished you could devour yourself? Follow our recipes of anime dishes! Our latest recipe was malasada, the favorite food of Pokemon from Pokemon Sun & Moon. 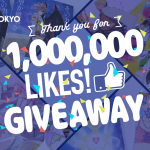 MANGA.TOKYO supports amateur creators of anime, manga, cosplay costumes, and so much more. This section wants to highlight that unique side of otaku culture. Our Creators Spotlight column includes the World Cosplayers series, where we introduce to you the most beautiful photos of fabulous cosplayers living overseas, and the Creator Intro series, where we recently featured an amateur manga! 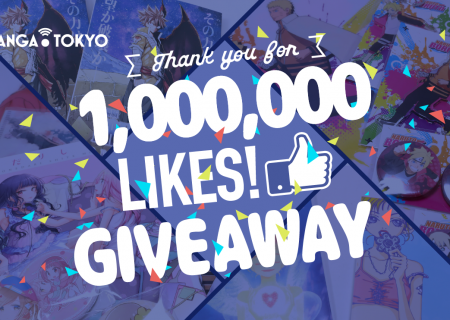 If you want something featured on MANGA.TOKYO or if you have any kind of feedback, don’t hesitate to send us a message here, or on our social media: Facebook, Twitter, and Instagram. 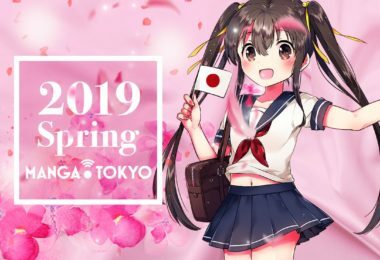 You can also join us in our new forum and talk with other MANGA.TOKYO readers about your favorite series from the new season! !